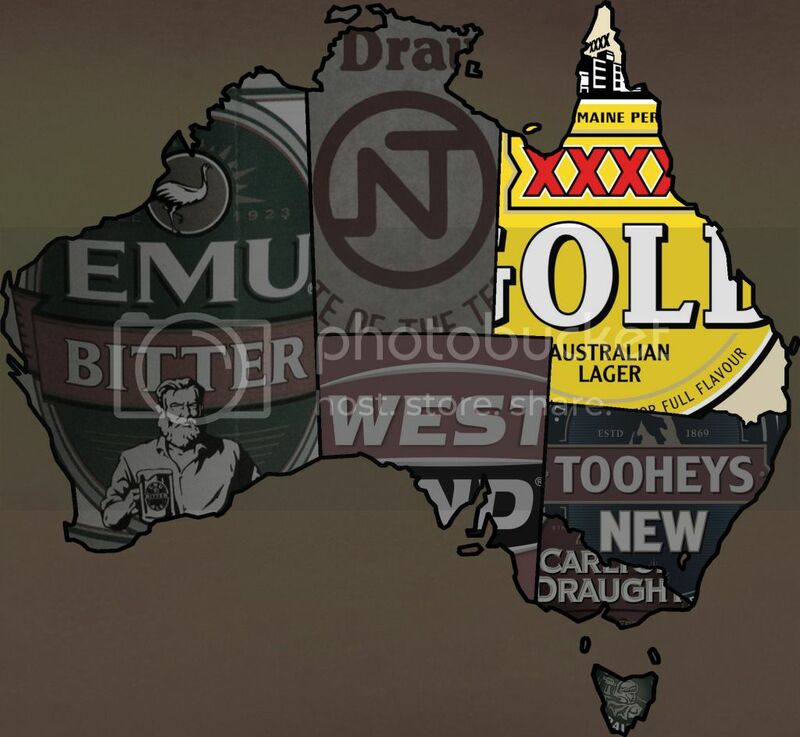 There isn't alot of beer from Queensland sold down here so this post was the biggest challenge so far. XXXX Gold is the only macro lager from Queensland sold down here and it's a light beer. XXXX Bitter, or 4-X as the locals call it, is the state macro lager and I'm pretty sure this is the first time I've had this beer. Blue Sky Brewery in Cairns provides the second macro(ish) lager. Probably technically it's not quite a macro lager yet, but it's well on the way to becoming one. The third beer from Queensland was chosen purely because I like the name as opposed to any better reason. My Wife's Bitter is from all reports is a pretty solid craft lager, let's see what the third most populous state in Australia can serve up for us. XXXX Bitter is a banana benders beer of choice. The beer is produced by Castlemaine-Perkins and has had better sales overseas, mostly in the U.K., than it has in other Australian states. It pours a lovely golden colour with very little white head, there does appear to be heaps of carbonation though which helps with the head retention. 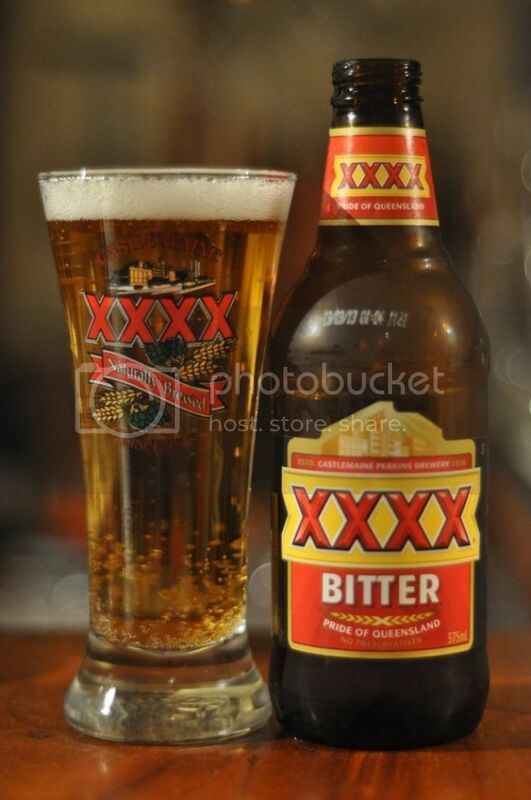 The appearance of XXXX Bitter is quite impressive for an Australian macro lager. The nose is mostly of sweetish malts, with little to no hops present which is somewhat alarming. The flavour however is better and there is enough hop bitterness to satisfy me. 4-X is somewhat over carbonated, which almost ruins the beer for me, however the drinkability is reasonable. 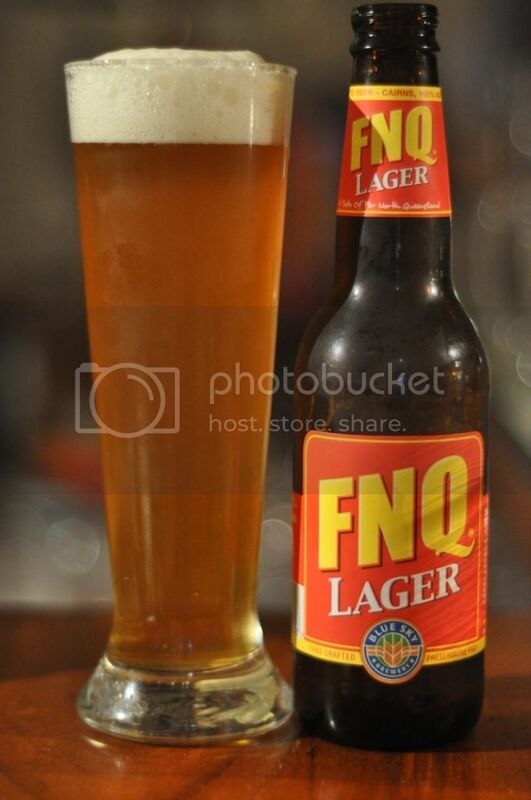 FNQ Lager is produced by Blue Sky Brewery and I assume stands for Far North Queensland Lager. This is another beer I haven't had before, but this one I'm really quite interested to try as the beer is bridging the gap from micro to macro lager. The pour is a slightly odd hazy orange colour with a strong white head of tight foam on top. It's quite impressive. So the nose of FNQ Lager is exactly what I've been looking for in a lager. This beer has some serious floral hops on the nose and minimal malt, however there definitely is some there. The taste is slightly different to what I imagined, there's a fair bit of Munich style malts present before the hops kick in towards the end. It's actually a really nice beer, quite similar to Lowenbrau but with a distinctly Australian twist. 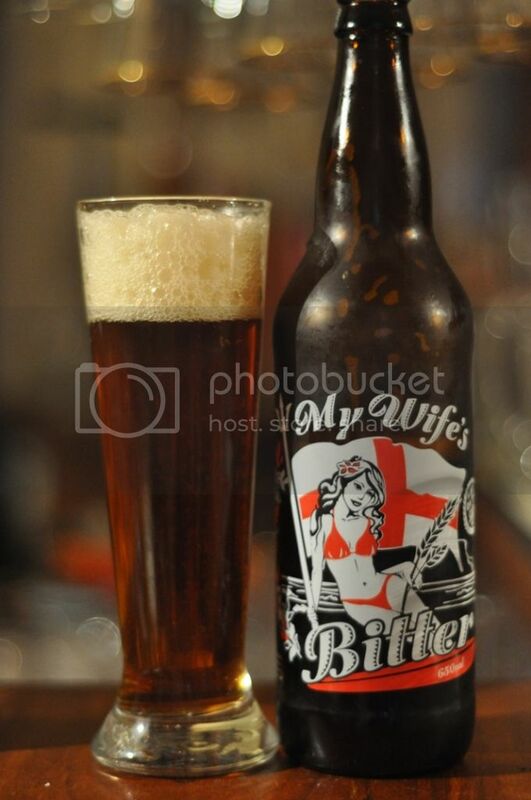 Unless my eyes are deceiving me, My Wife's Bitter looks astonishingly like an actual English Bitter, which would be an ale! This is either a very strange dark(ish) lager or an ale. Only a tasting will tell me what's going on here but from the appearance it would appear that my intel is wrong on this beer. The nose and taste of this beer indicated to me what I already had suspected, this in an English Bitter! Therefore this is an ale, but we will push on regardless. The nose is pretty complex with caramel and chocolate malts dominating the aroma until some spicy earthy hops take over towards the end. The flavour is similar to the nose, but it tastes a little bland and is almost boring... I don't think it's one I'd have again. 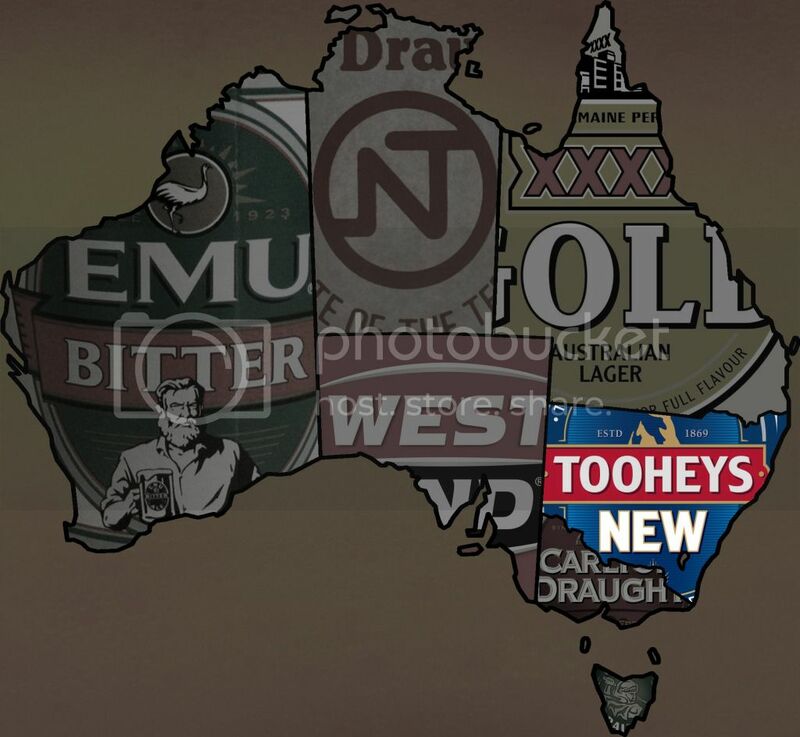 Queensland's beers were a bit of a mixed bag this evening. XXXX Bitter was actually a bit better than the some of the things you hear about it would suggest. FNQ Lager had a real touch of quality about it, while My Wife's Bitter from Burleigh Brewing gets ticks for the name but not alot else (remember this is a lager competition...). Overall though it was a nice session and I think I might have found a real winner in FNQ Lager. Western Australia is up next and as tomorrow is Friday I imagin it will be up tomorrow, see you all then!